My friend Koko, whom I’ve known since high school, recently visited Kyushu, Japan with her mother. 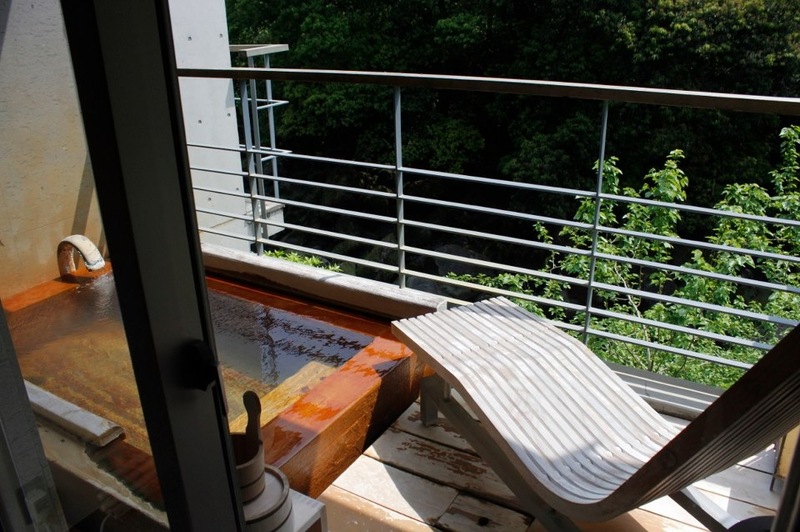 Most people who know me know how hot I am for Japanese design, so when Koko posted this picture on Facebook of her hotel room deck at Kirishima onsen, I felt my heart skip a beat. Onsen is the Japanese term for hot springs. It’s practical in the sense that it doesn’t take up a huge amount of space, yet it’s aesthetically beautiful and inviting. Proof that living spaces don’t have to be ginormous to be attractive or functional. I admire understated beauty in design, and the Japanese have clearly perfected this concept. I’m ready to step in!